Hoverboards are the latest kids craze. They’re fun, they’re hip and they’re here to stay. It’s the perfect blend of modern technology and age-old fun – perfect for activating your kids and getting them outside. As a parent, you obviously have concerns about safety and we understand why. Fear not, because in this guide we will cover everything you need to know as a parent when buying a hoverboard for kids. Below you’ll find the best hoverboards for kids along with their most important pros and cons. We have manually tested the boards and reviewed them based on our own experience and expertise. Additionally, we’ll answer some of the most common questions – especially surrounding the safety of your kid. Tag along! Is my kid old enough to ride a hoverboard? Is it difficult to ride a hoverboard? Are hoverboards for kids safe? What are the Risk Factors & how can we Combat Them? We’ve taken our time and carefully reviewed some of the best electric scooters for kids on the market. Below is a quick overview of all the boards along with the most important pros and cons as well as our rating. Let’s start with the best, shall we? 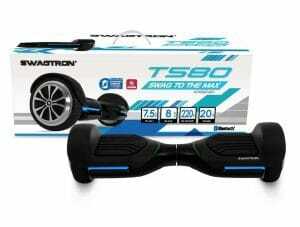 The SWAGTRON T580 hoverboard takes the prize as the best for kids. It brings all the important features for a kids hoverboard into a light-weight but ultra-sturdy solution. The T580 is arguably the safest hoverboard on the market. With safety being a top priority, the T580 has undergone all safety and stress tests you could possibly imagine. The board is UL-2272 safety certified and is built with an incombustible casing. The scooter features SWAGTRON’s patented SentryShield technology along with advanced battery management. 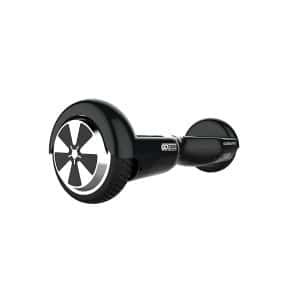 This ensures an amazing and always safe riding experience. 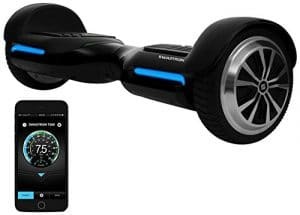 The SWAGTRON T580 6.5″ hoverboard comes packed with the market-leading SWAGTRON app for smartphones. The app lets you take full control of your hoverboard. Play music on-the-go with the built-in high-quality Bluetooth-speaker, track speeds and battery and much more. The board has a built-in learning mode that’ll get your kid going in minutes. Perfect for newcomers – especially younger people. We objectively couldn’t find any! This self-balancing scooter is the perfect solution for any kid and will also work well even for adults. The Halo Rover is an absolutely incredible piece of technology. This hoverboard is by far the best there is on the market at the moment. Its price tag is a bit higher than the others mentioned here. However, compared to what you get it is actually a very generous price point. This hoverboard probably is ideal for slightly older kids or kids with experience riding hoverboards. It is a bit heavier and it is packed with additional motor power. We’d recommend this hoverboard to kids 12 years and up. With incredible built quality, your kid’s safety is secure. The expert team at Halo Board follow best practices to ensure a smooth riding experience. The Halo Rover even won the Choose Wheels award as “Best Hoverboard of 2019″ – and we understand why! If you want nothing but the best for your kid, you clearly want the Halo Rover! Not ideal for beginners or kids under the age of 10. Based in Denver, GOTRAX is one of the leading hoverboard manufacturers in the world. Their best take on an electric scooter for kids is the GOTRAX Hoverfly ECO – and oh boy it’s good! Geared with 500-watt motor power, the GOTRAX Hoverfly ECO bursts out speeds up to 7.5 MPH. Due to its power, the board can efficiently deal with challenging terrain. The Hoverfly ECO is built with a market-leading torque, ensuring an always smooth ride. 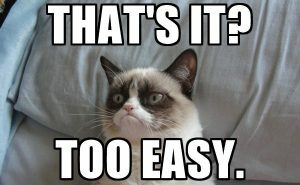 Easy to handle, easy to master. Due to its durable lithium batteries, the GOTRAX Hoverfly ECO can go up to 12 miles per charge. As for safety, each board is manually stress-tested thoroughly. It was granted the UL-2272 safety certification which means you, as a parent, can sit back and relax without worrying about your kid’s safety. With lots of things happening around them, kids can often forget to turn on their hoverboard. However, the Hoverfly ECO has auto-shutdown functionality, keeping everything safe. Additionally, your kids have protection against slipping due to the no-slip foot platforms on the board. The Hoverfly ECO is probably one of the safest hoverboards for kids. It is well priced, robust and also very durable. A perfect gift for any kid who likes a little speed. If you’re a regular on here, you’ll know we hold a deep love for TOMOLOO and what they’ve done for the industry. Providing 1-year warranty and great support, TOMOLOO values their customers’ experience deeply. Let’s us introduce the TOMOLOO Q2-C! This UL-2272 safety approved 6.5″ kids hoverboard smashes the competition when it comes to firepower. With upgrades to battery and motors from the previous model, this board reaches top speeds around 10 MPH and holds for up to up to 10 miles per charge. This is incredible numbers for a board this size – one of the fastest hoverboards on the market. The Q2-C hoverboard is geared with bright customizable LED lights, ensuring your kid’s safety and visibility even at dusk. The board features fire protection; it is IPX4 waterproof and anti-slip pedals to provide a secure board grip. Paired with the handy TOMOLOO smartphone app, you can control your board down to the smallest detail. Change between modes, track speed and battery, blast music through the inbuilt Bluetooth-speakers and much more. If you think your kid will enjoy a little more speed and spending less time charging, the TOMOLOO Q2-C is a perfect choice! As a parent, the number one concern will always be the safety of our kids. You might think that letting them ride electric scooters is risky business, but the boards today are exceptionally well built and safe to ride. Before getting them this wonderful gift, decide upon whether you think they’re ready for the challenge. Are their motoric skills fine? Do they weigh at least 44 lbs? The best ones for kids is the one that provides the safest and most stable ride. It’s not all about high top speeds and fancy designs. At the core, all you need is a durable board that is built to last. The ones reviewed in this article are all the pinnacle of hoverboards for kids. No matter which board you go with, your kid will get the utmost satisfaction. If you know your kid likes flashy design, you might consider getting a Lamborghini model. Lately, hoverboard go-karts have been widely popular. Basically, these cheap attachment kits let you turn your basic hoverboard into a fully functional go-kart. Awesome, right? Well, your kid will think so too. Always make sure that a board is UL-2272 approved before purchasing. This ensures that the board is safe from all the standard and potentially dangerous issues that could occur. In our eyes, the SWAGTRON T580 hoverboard is the best for kids. It is clear that SWAGTRON designed this hoverboard with safety in mind. It is incredibly durable and always reliable. Learning with the T580 is a breeze, and the top speed isn’t over the top for kids either. With a high range per charge, your kids can ride all day without worrying about battery life. SWAGTRON takes the cake when it comes to their app. It is far more intuitive than the competition. Additionally, the Bluetooth speakers easily beat the others. Support provided by SWAGTRON is next to none in this price range. To conclude, the T580 hoverboard is the best for kids. 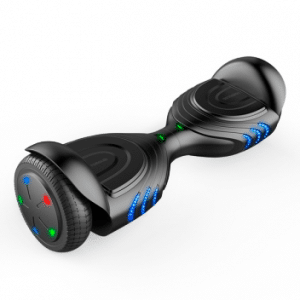 Great price for a powerful and balanced hoverboard experience. We know you have lots of questions as a parent regarding the safety of your kid. Fret not, this section will answer the most frequently asked questions parents might have. This is a common question. At what age would it be okay to have your kid riding a hoverboard? Well, there is not one correct answer. Technically speaking, all hoverboards have a weight limit. Most of the hoverboards on the market activates at 44 lbs and upwards. This means that kids under 44 pounds wouldn’t be able to ride them. Although there are exceptions, we believe this is a good finger rule. If your kid is under 44 lbs, you should keep your kid’s motoric skills in mind. Are they struggling with their balance or are they ahead in their motoric development? Starting earlier might not be an issue if your kid has a stable equilibrium. Riding a hoverboard isn’t tricky at all, though there is a slight learning curve. If anything, the hoverboard might assist in the development of your kid’s balance. Few kids will get up on the board and feel entirely comfortable immediately, but with a few hours of practice, learning to ride it is really easy. Just like learning to ride a bike or roller blades. Make sure you are there to assist your kid in this critical beginning phase. Many of the electric scooters come with dedicated learning modes that’ll help your kid get started. This is a very nice feature that makes the learning curve significantly easier. With a practice mode, your kid will quickly learn how to balance the board and ride at a safe speed. Therefore, the hoverboard best for kids is one that provides a learning mode of some sort. You’ve probably imagined the nightmare scenario where the hoverboard goes out of control and suddenly charges towards busy traffic with a kid onboard. Don’t worry, keep your mind at ease. A few years back, there were reports of hoverboards combusting or malfunctioning. The issue was mainly due to bad hardware and cheap batteries. In 2016, the Consumer Product Safety Commission looked into the issue and developed what is known as the UL-2272 certification. It is a strict guideline of safety requirements all hoverboards have to meet to be deemed safe. The purpose is to ensure that you get a safe hoverboard rather than a cheap build that could endanger people. In short, if a board is certified UL-2272 compliant, the self-balancing scooter is entirely safe to ride without risking malfunctions or other dangerous issues. Therefore, when buying a hoverboard for kids, make sure it has the golden UL-2272 certification. The risk factors are pretty much the same as with riding anything else with wheels be it skateboards or bicycles. This is not uncommon for beginners when learning a new skill. Just like with anything else with wheels, you can end up falling and hurt yourself. Luckily, many hoverboards suitable for kids won’t go much faster than a skateboard. We do, however, recommend getting safety gear for your kid. A protective helmet and protection pads and you’ll be safe. This will minimize the damage drastically, no matter whether they are severe or minor. Make sure your kid learns how to brake. This will significantly reduce the chances of getting hurt. An obvious one is traffic. Make sure your kid is in full demand of the hoverboard and knows the traffic rules if you’re going to allow them to ride in trafficked areas. Maybe stick to the sidewalk rather than the road. Another thing that is probably not mentioned as often is keeping respect for the hoverboard. Talk to your kid about not getting overly confident just because they’re running up and down the street smoothly. You wouldn’t want your kid to try and drift around corners or stand on one leg as that’d be likely to go wrong. Before adding the product to your Amazon cart, you can include a protection plan. There’s almost no doubt your kid will love getting a hoverboard. From experience, we know that kids usually spend an extensive amount of hours riding their new electric scooters. It is inevitable that the boar will pick up some wear along the way, cruising up and down the streets hundreds of times. If you know the hoverboard isn’t just going to end up on the shelf, picking up dust, we highly recommend getting a protection plan. 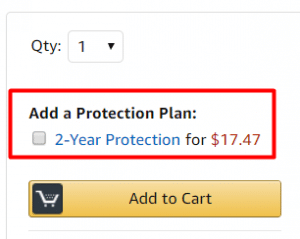 A 2-year protection plan can be acquired for a fraction of the board price when purchasing on Amazon. The protection plan covers any malfunctions or product breakdowns that might occur after the manufacturer’s warranty period expires. Additionally, you get free shipping on all potential repairs required.